The Travelin' Librarian Tech On the Next Tech Talk: Alexa, what’s an Amazon Echo? 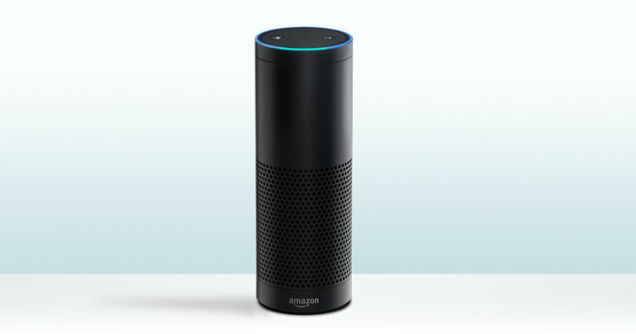 On the Next Tech Talk: Alexa, what’s an Amazon Echo? In this month’s Tech Talk (March 23rd) I will be performing a live demonstration of the Amazon Echo, a voice-controlled personal assistant, radio, and information device. I’ll also use the Echo as a jumping off point for a discussion of other current and future voice-controlled technology. In this monthly feature of NCompass Live, the NLC’s Technology Innovation Librarian, Michael Sauers, will discuss the tech news of the month and share new and exciting tech for your library. There will also be plenty of time in each episode for you to ask your tech questions. So, bring your questions with you, or send them in ahead of time, and Michael will have your answers.